Open the door to majestic fun with Disney's toe-to-tiara set. 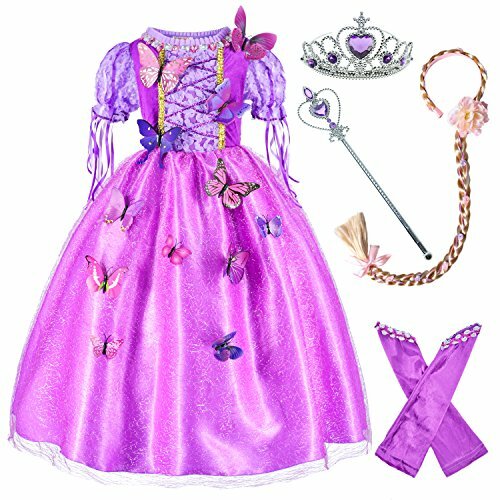 Complete with everything your little princess needs to feel like royalty in her own kingdom, the set includes a dress with an image of her favorite Disney princess, as well as shoes, wand, and a beautiful light-up tiara. From Disney. If you are looking for the perfect licensed costumes and accessories for Halloween we've got them all right here. 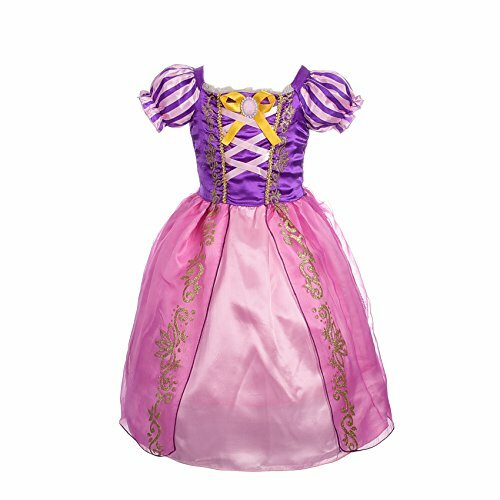 The Disney's Tangled Rapunzel Girls Classic Costume includes a Dress With Character Cameo. Get this item and all of the coordinating options that go with it for a low price right here. 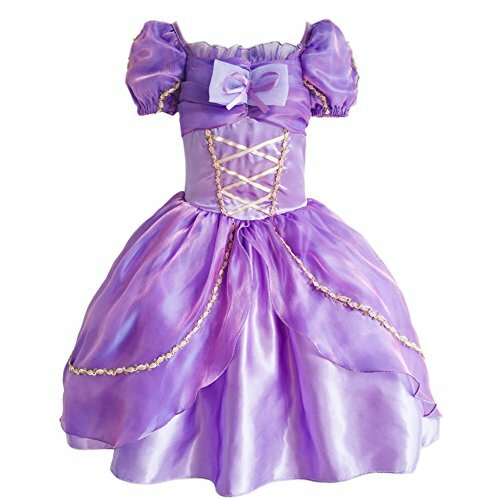 This costume includes purple dress with a floral design and a floral headband. 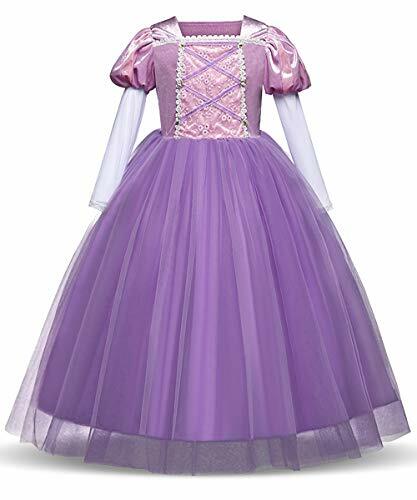 This is an officially licensed Disney Rapunzel costume. 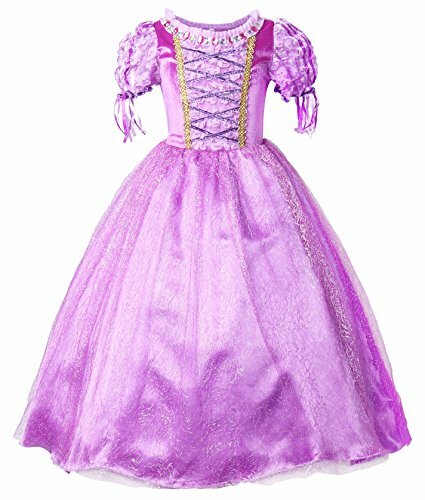 Your little one will think she is in a Disney Movie with this classic Rapunzel costume. Includes a two toned purple dress with gold detailing down the middle and attached character cameo. Fits child girl sizes 7-8. 100% Polyester. Care instructions: Do not dry clean. Hand wash cold separately. Do not bleach. Line dry, cool iron if necessary. 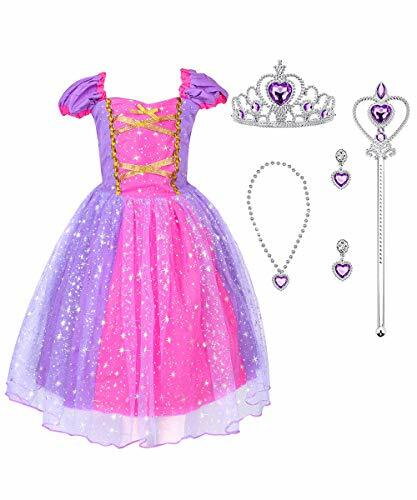 Disney Princess Rapunzel Sparkle Classic Child Costume includes a dress with character cameo. 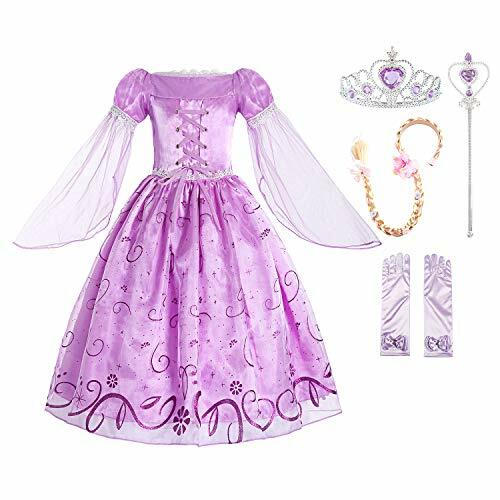 Now your little girl can set out this Halloween as her favorite Disney princess. Encourage her curiosity with a costume that will inspire her to play pretend all year long! Includes dress.. Does not include shoes. This is an officially licensed Disney Rapunzel product. 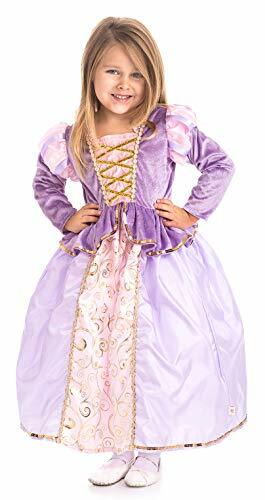 Let your little princess be one of the most popular Disney Princesses this Halloween when she becomes the beautiful Rapunzel from "Tangled."